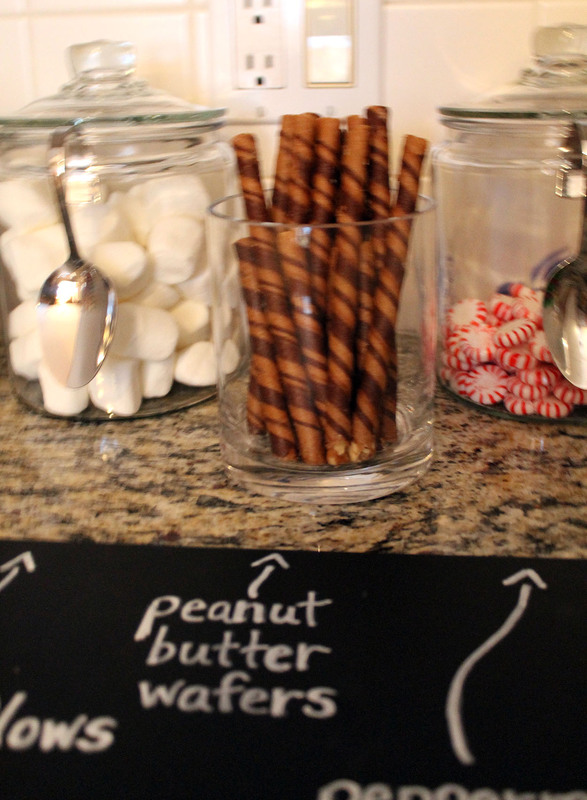 Hot cocoa is the perfect winter beverage…for both kids and adults! That sweet chocolate flavor warming up your insides after a cold outing can’t be beat! 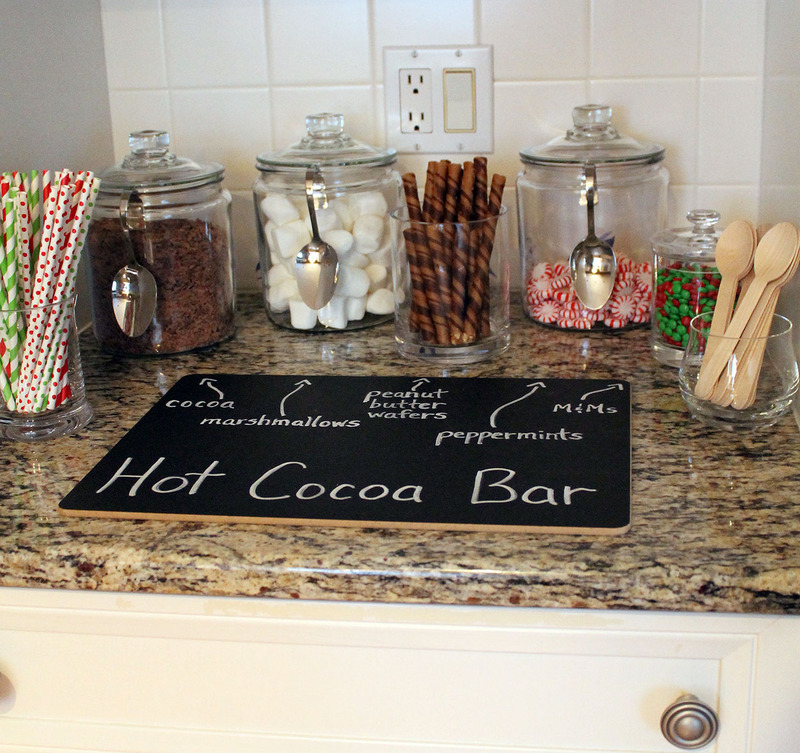 I used this small counter space in my kitchen between my oven and refrigerator to create a hot cocoa bar for my daughter’s friends to enjoy after their Christmas dance this past weekend. 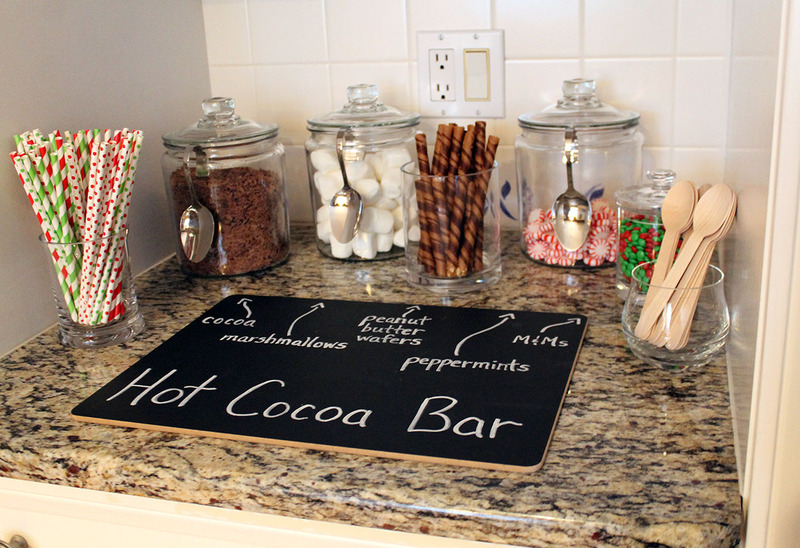 You could put together a hot cocoa bar anywhere…a side table, a kitchen island, a bar cart. 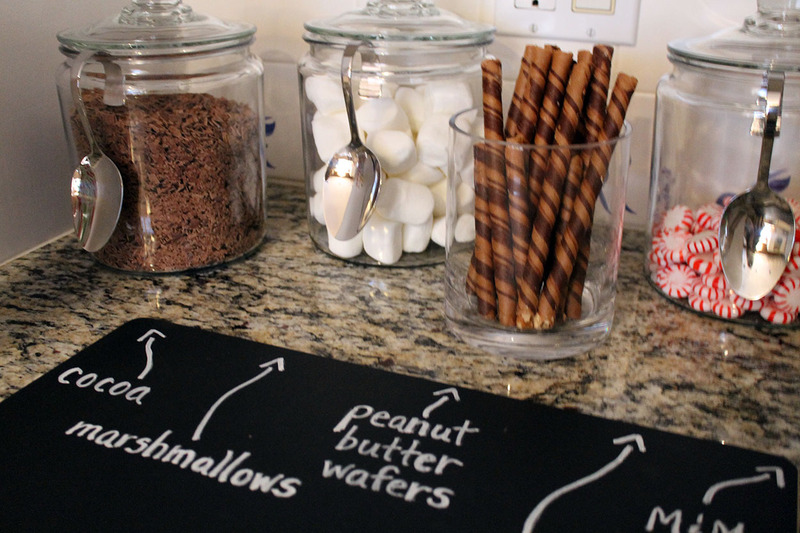 This chalkboard placemat from Crate and Barrel allowed me to label all the ingredients and choices for toppings…marshmallows, peppermints, peanut butter wafers, holiday colored M&M’s, along with some spoons and straws for stirring and sipping. 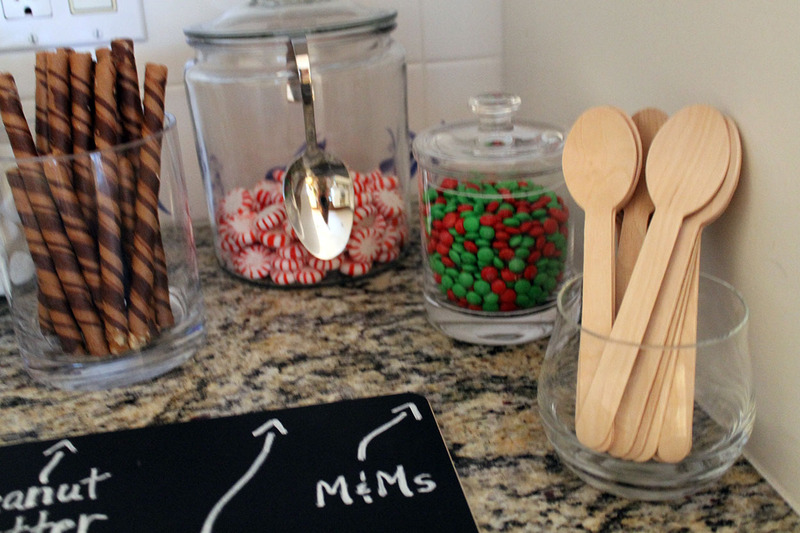 Just ladle some warm milk into mugs, and let your guests create their own chocolatey concoction! What a neat idea having everything in one spot! Pictures make me want hot chocolate . Easy serving and easy cleanup! Although I think I’m going to leave it out all winter…then anyone can make hot cocoa whenever they desire.